Summary: Brain waves of music listeners synchronize better when they attend a live concert, researchers report. Researchers say the findings indicate people enjoy music more when the performance is live and when experienced as part of a group. When individuals attend a live concert and listen to music as a group, their brains waves synchronize – a bond that indicates each individual is having a better time as part of a collective. The new findings, reported last month at a Cognitive Neuroscience Society meeting, are a reminder that humans are social creatures, said neuroscientist Jessica Grahn, a Western Psychology professor in the Brain and Mind Institute who co-led the study. Grahn’s research team partnered with McMaster University’s LIVELab, a one-of-a-kind concert hall where scientists measure the brain waves of musicians and their audiences to determine how music creates undeniable social bonds. The team hired a band to perform for 24 participants in the audience, simultaneously measuring their brain wave data while also taking motion captures of how people move to music – live and recorded. “We thought it would be neat to use the LIVELab to look at people listening to live music and recorded music and look at how social bonding is affected and how our brain wave synchrony is affected,” Grahn explained. The band was asked to play eight songs – half “high groove,” half “low groove.” Groove, in the psychology world, essentially means, ‘How much does this music make you want to move.’ High groove songs tend to have a more “funky, toe-tap” sound; low-groove songs are more relaxed, “easy-listening” tunes. “We asked them to try as much as possible to keep basic acoustics the same, not to vary the loudness levels or the tempo too much between songs, but otherwise, they were free to interpret this however they wanted. We wanted this to be representative of what might happen in a real-world concert,” Grahn added. For the second set of data in the study, Grahn’s team used a big screen in the LIVELab to present a video of the band’s performance to the participants, using the lab’s sophisticated acoustics to make sure the sound was identical to what had been perceived in the live performance. Data was collected from a third condition, afterward, where participants experienced the recorded concert, but this time, instead of having a packed audience, there were three or four individuals sprinkled throughout the audience seating, so they couldn’t really see each other or interact with each other, she noted. Researchers collected electroencephalography (EEG) data from participants in all three conditions and looked at how well synchronized their brain waves became. “It turns out that in the live music condition, you get greater synchrony between the audience members than you do in the recorded condition or the condition where it’s recorded and you don’t have much of an audience to interact with,” Grahn explained. Synchronization is greatest in the presence of live performers. It is less so when watching a recording of the performance as a larger group and even lesser when watching that recording in a small group, she continued. This indicates greater enjoyment of music in the presence of a live performance, as well as greater enjoyment when experienced as part of a group. Grahn’s team also did a network analysis, looking at the synchrony between individuals in the audience. Results showed some individuals connected or had higher rates of synchrony with more individuals in the audience, while some didn’t synchronize to the same degree. “You might have one person who synchronizes quite a lot with several other audience members, and another person who isn’t all that synchronized with very many other audience members. It varied from person to person exactly how much synchrony they had and how many other people they have that synchrony with,” Grahn explained. “It turned out people who had more synchronized connections to other audience members enjoyed the concert more and they also felt more connected to the performers than the people who showed fewer audience connections,” she continued. Synchronization is greatest in the presence of live performers. It is less so when watching a recording of the performance as a larger group and even lesser when watching that recording in a small group, she continued. NeuroscienceNews.com image is in the public domain. Grahn’s research team also looked at bodily movement among audience members and found synchrony in motion among individuals, as well. Those who nodded their head to the beat indicated greater enjoyment and greater social affiliation at the concert. There’s some evidence that shows one of the reasons music evolved is because it allows large groups of people to synchronize their movement. When people move together, there is evidence they feel a sense of community and more altruistic, Grahn added. “There’s evidence with toddlers, if they’re bounced in synchrony with another adult compared to out of sync, that they’re more helpful to that adult later on. We were interested in whether people who moved together showed greater affiliation or a sense of liking the person near them that they moved with,” she said. Original Research: Abstract for “What makes musical rhythm special: cross–species, developmental, and social perspectives” by Vani G. Rajendran, Fleur L. Bouwer, Molly J. Henry, Laura K. Cirelli and Jessica Grahn was presented at the Cognitive Neuroscience Society meeting. University of Western Ontario “Brain Waves Synchronize at Live Music Performances.” NeuroscienceNews. NeuroscienceNews, 9 April 2018. 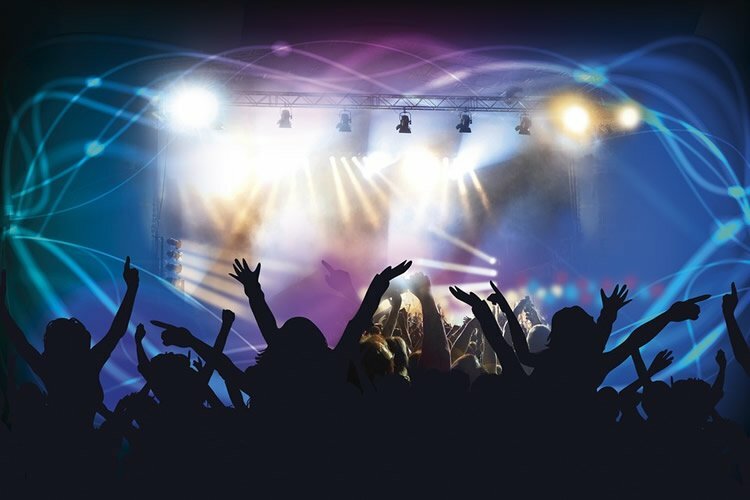 University of Western Ontario “Brain Waves Synchronize at Live Music Performances.” http://neurosciencenews.com/music-brain-synch-8740/ (accessed April 9, 2018). The ability to synchronize to musical rhythm by picking up on a regular ‘beat’ occurs spontaneously, in every human culture. Perceiving the beat enhances basic timing processes, perceptual accuracy, and social interactions, yet its mechanisms are poorly understood. It is also unclear when this ability develops, both developmentally and evolutionarily. Burgeoning interest in rhythm and beat interventions in movement disorders (e.g., Parkinson’s disease) and language disorders (e.g., dyslexia) means understanding the neural bases of rhythm and beat perception is becoming more important. Here, we approach beat perception from different angles, from the relationship between low-level sound features and beat perception to wider social and developmental implications. First, Rajendran discusses how beat perception arises from acoustic features, relating human behavioral data to spike rates in rodent auditory cortex. Subsequently, Bouwer examines a question of importance to many fields: do events that occur at ‘expected’ times (e.g., on the beat) show enhancement or suppression of associated neural and behavioural responses? Her EEG work manipulates different temporal expectations, dissociating expectations based on stimulus regularity and based on memory for stimulus timing. Henry adds a social perspective, assessing inter-subject synchronization of EEG signals in live versus videoed musical concerts, with and without other audience members being present. Audience members with greater inter-subject synchronization at the beat rate report greater enjoyment and social affiliation. Finally, Cirelli will considers the developmental relevance of beat perception, showing how infants’ emotion and attention is altered by music with rhythmic qualities, with higher beat salience correlating with great attention. The herd instinct, providing a feeling of safety and belonging thus reducing the stress of being constantly alert.